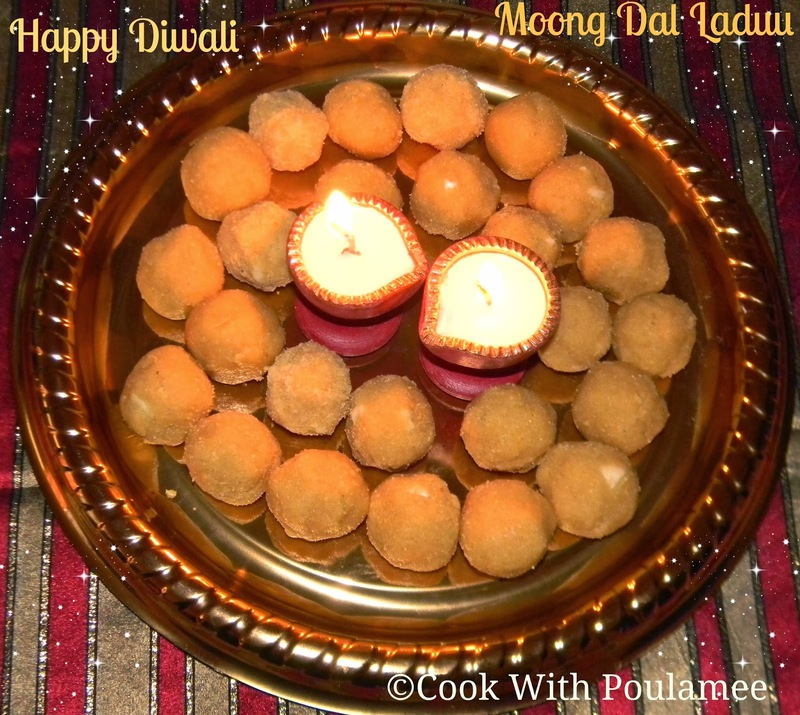 Diwali is a festival when we can’t stop ourselves to eat sweets so I can’t stop myself to make another DIWALI SWEET MUGER LADDU OR MOONG DAL LADDU. A very easy homemade sweet and the ingredients are very less. I remember during my school days a shop near my house where we cousin sisters were used to go to have this MONGER LADDU. I still remember the taste, so while making this I took a round in my childhood days. This is a very famous DIWALI sweet in North India, the basic ingredients of the dish is MOONG DAL AND GHEE. Wishing all my friends, family and followers a happy and safe Diwali may this Diwali light make your life colorful. 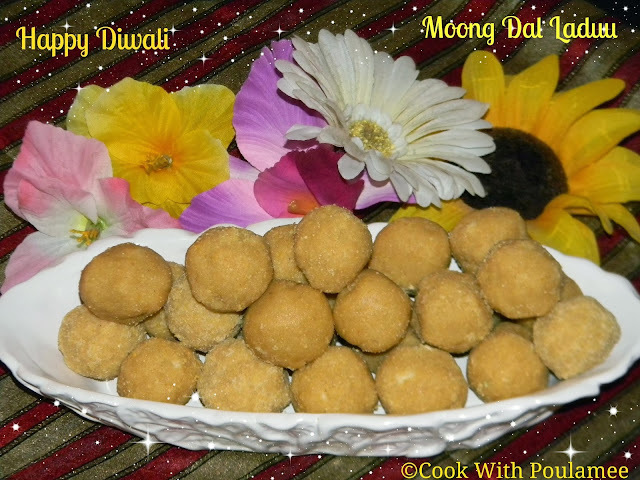 1.Moong Dal: 1 ½ cup. 2.Milk Powder: 5 table spoon. 3.Sugar: 1 cup and 3 table spoon. 5.Chopped cashew nuts (7 to 8). First wash and clean the moong dal, now drain out all the water. Now dry roast the moong dal in medium flame till the aroma comes out from the dal. Now let the dal become cold, now grind the dal in a mixture like powder. In a large bowl add the moong dal flour , then add the sugar, milk powder freshly crushed cardamom powder, chopped cashew nuts and mix well. Now in a vessel heat the ghee, now add the warm ghee into the bowl and mix well with hand nicely. 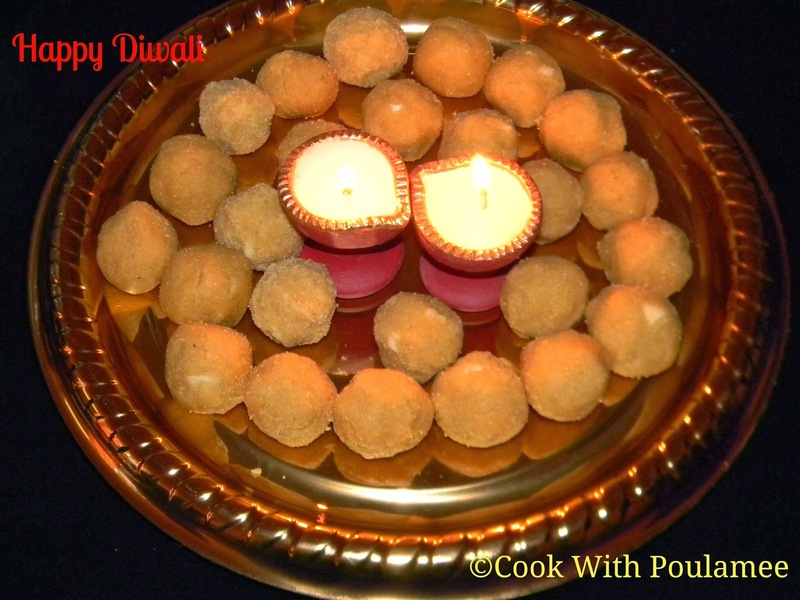 Now start making the laddu’s with the mixture, if you are not able to round them properly add some more ghee or some water also to make the laddu in proper round shape. 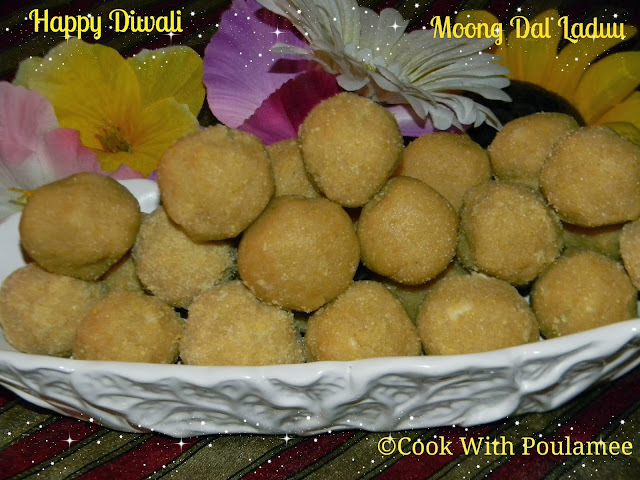 Your easy MOONG DAL LADDU DIWALI LADDU is ready, enjoy the special day with lots of sweet and crackers. Should I use the suger in crystal granular form or powdered form ? ?